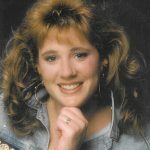 Jennifer Lea Stevenson of Godley passed away Tuesday November 13, 2018. Service: 1:00 P.M. Sunday November 18, 2018, Martin’s Funeral Home, Granbury, Texas; Interment: Cresson Cemetery; Visitation: 3:00 – 5:00 P.M, Saturday November 17, 2018, Martin’s Funeral Home, Granbury, Texas, Martin’s Funeral Home, Granbury, Texas. Jennifer was born December 21, 1972 in Irving, Texas to Paula (Sandlin) Stevenson and John Harvey Wilson. She previously lived in Cresson. Jennifer’s greatest accomplishment was being a mother to four boys. During her life she experienced many adversities. Losing her eldest son to a tragic accident was more than most could bear. She struggled through the challenge of caring for her sons that survived; however, was able to triumph as a mother, by raising them to become honorable young men. She also opened her heart to many troubled kids and became a second mom to each them, as she helped them navigate through their own life obstacles. She cared more about others and put their needs first. She made a point to instill the value of strong relationships in each of her sons and nephews. She made many sacrifices to ensure all had a steadfast support network within each other. Her family will always love and remember her for the good person she was, which is evident by her precious gift of life as an organ donor. Jennifer was preceded in death by her son: Justin Dugan and stepdad: Steve Stevenson. Jennifer is survived by her loving husband: Jeff Horner; sons: Jeremy Dugan, Trey Dugan, Jordan Dugan, Alex Holzmeier; siblings: Christopher Wilson, Tamera Olvera and husband Demetrio, Brian Wilson, John Wilson; parents: Paula Stevenson, John Wilson and stepmother Kristi; sister-in-law and brother-in-law: Julie McCurley and husband Randy. Funeral Arrangements under the direction of Martin’s Funeral Home. Please accept my sincere condolences for the loss of your beloved wife, mother, daughter and sister, Jennifer. No words could ever convey the pain of your heart, but our loving Creator and Heavenly Father does know. He has promised that very soon this enemy, death, and all the things that bring our hearts pain will be a distant memory-Hosea 13:14. Until then, please find comfort in knowing that "He (God) is close to the broken hearted and those crushed in spirit he saves"-Psalm 34:18. It is my hope that these passages along with your loving memories of Jennifer, comfort your hearts and give you a measure of peace during this most difficult time. Please accept our deepest condolences for you family's loss. Jennifer my dear sweet cousin and my dear friend I will miss you more than anyone could know. We had become close and had many laughs and talks and most of all a loving concern for each other and families. You made me laugh during chemo times and we certainly had fun when you were here. I considered you like a sister and cared for you so much. I promise to be there for the boys as they know and will check in on them a lot to see if they are ok but I know better in how you raised them with toughness and much love. You did a great job during your short life and I know you had much more to give but know we will it’s you until we see you again. I’m still horribly saddened and my heart hurts I cannot come let doc orders. Know I’m with you inprayers and much love to you. Your in gifted, loved hands know i Is you already. I wanted to let you know of my journey with Jennifer and what she represents in my life. She was a walking example of God's grace and mercy given to someone who did not deserve it in most people's eyes. She gave forgiveness when anger and hatred would have been the normal response. In her darkest hours of grief and pain she shed mercy and forgiveness and that will always be her legacy to me. For you see, I am the mother of the person that took her son's life and yet she loved my son and myself during her own sorrow. I hope I learned from her how to extend grace for she certainly gave that to me. My heart goes out to you all!